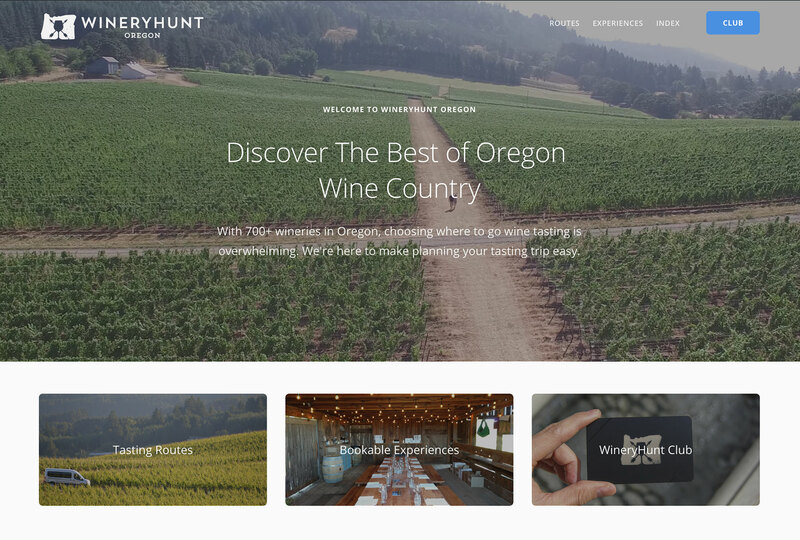 With 700+ wineries, how do people make an educated decision about where to go wine tasting in Oregon? 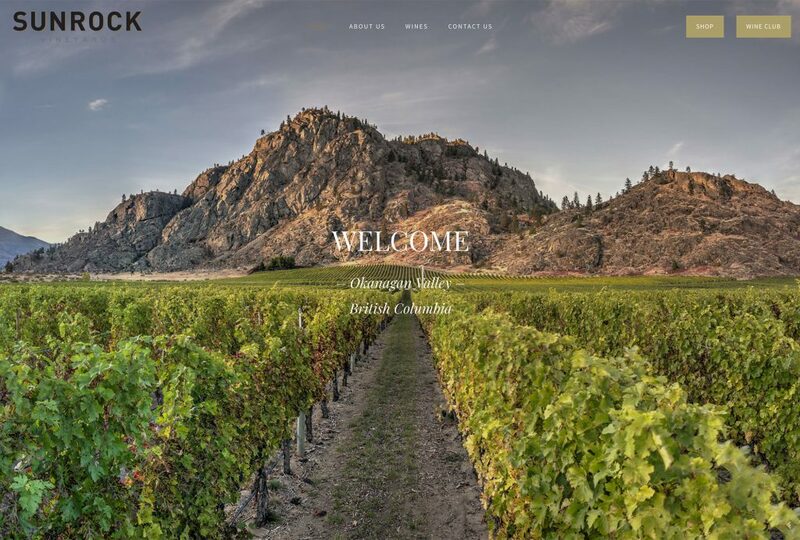 Most regional wine websites are directories with hundreds of listed wineries and little additional context. 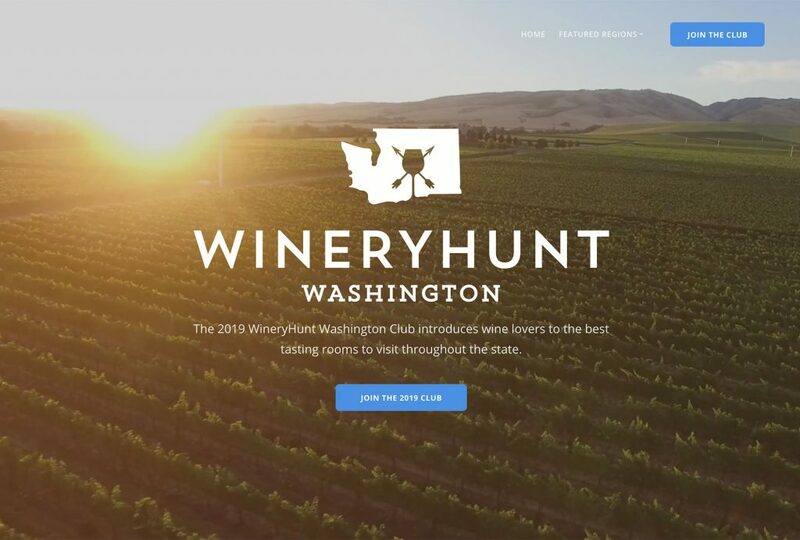 WineryHunt is a side project by Vinbound Marketing that seeks to solve this problem for Oregon wine tasters. 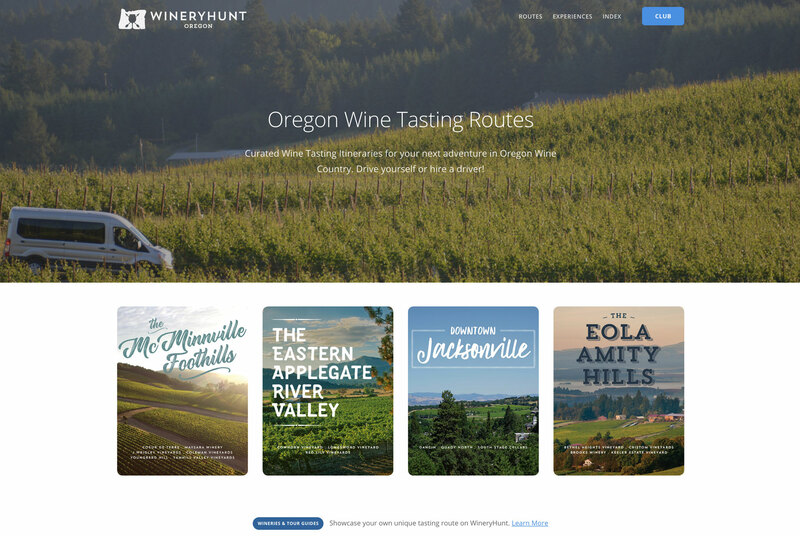 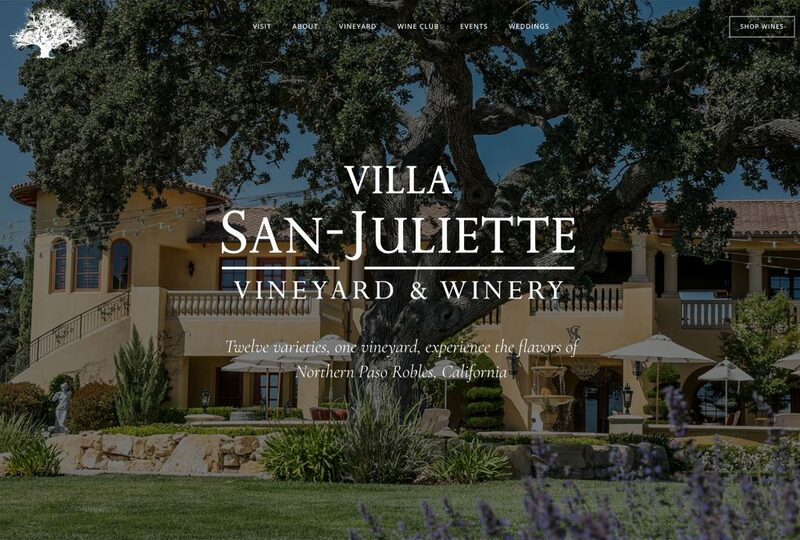 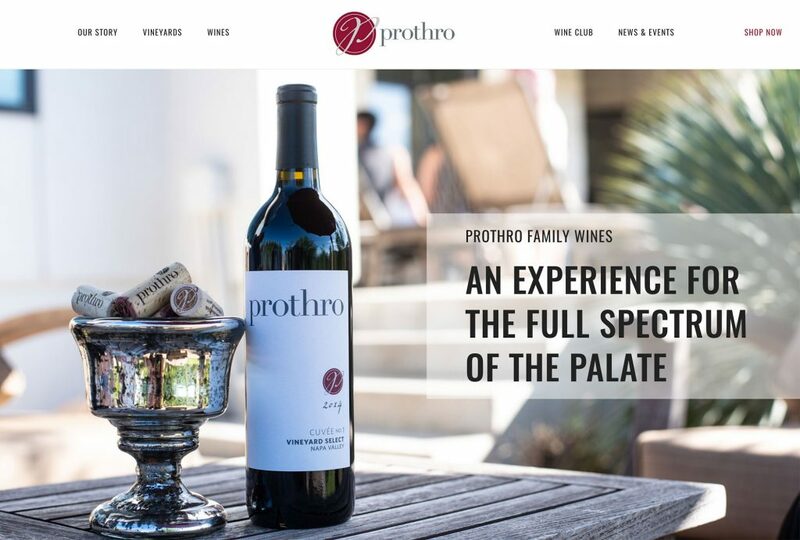 The website features wine tasting “routes”, specific pockets of wineries that share a similar theme and can be visited in a day or weekend wine tasting. 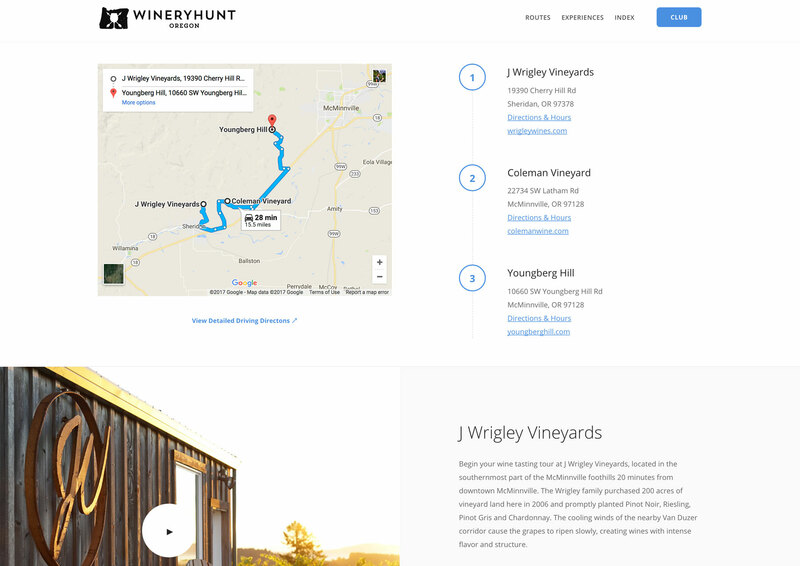 Each route provides a wine tasting itinerary, driving directions, and images/video of the featured wineries on that route. 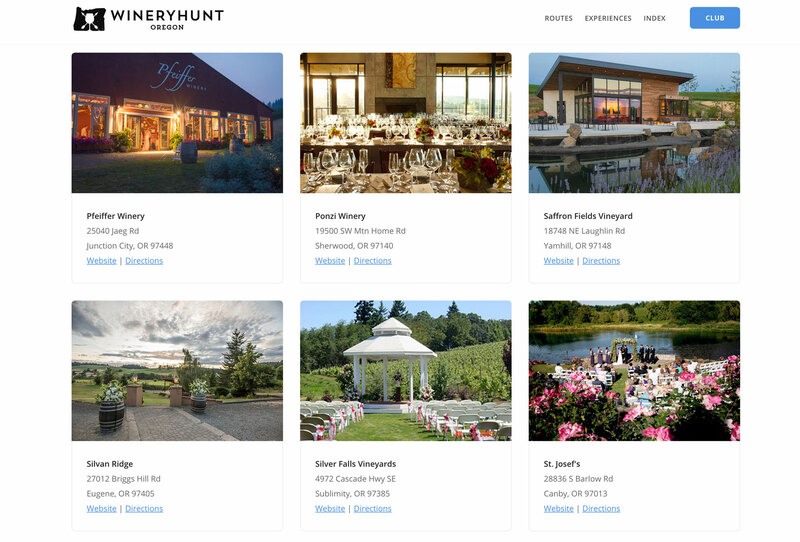 WineryHunt Oregon also features unique bookable wine experiences throughout Oregon. 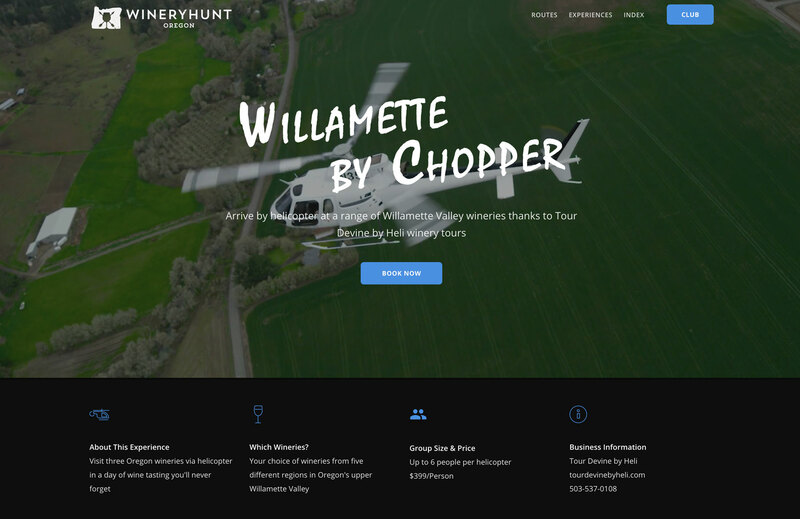 Viewers can submit a booking request directly through the website. 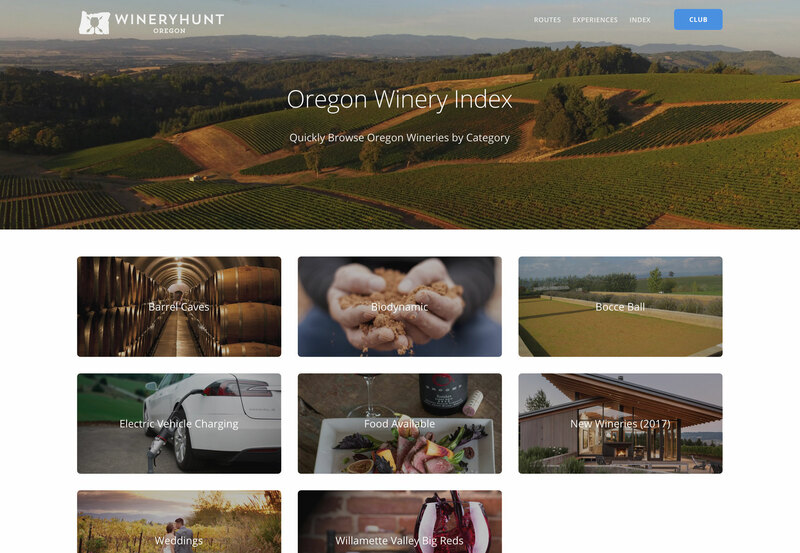 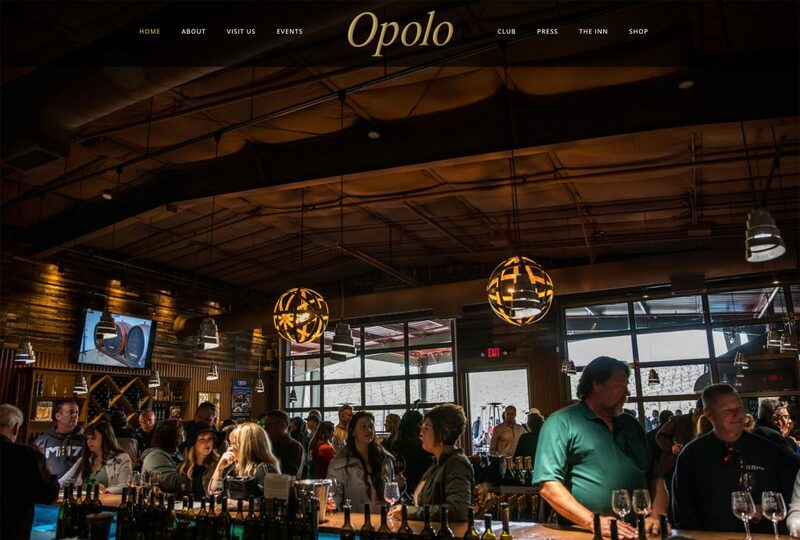 Other features include a Winery Index to quickly browse Oregon wineries by unique category, and a Membership program that offers waived tastings and other perks at participating wineries. 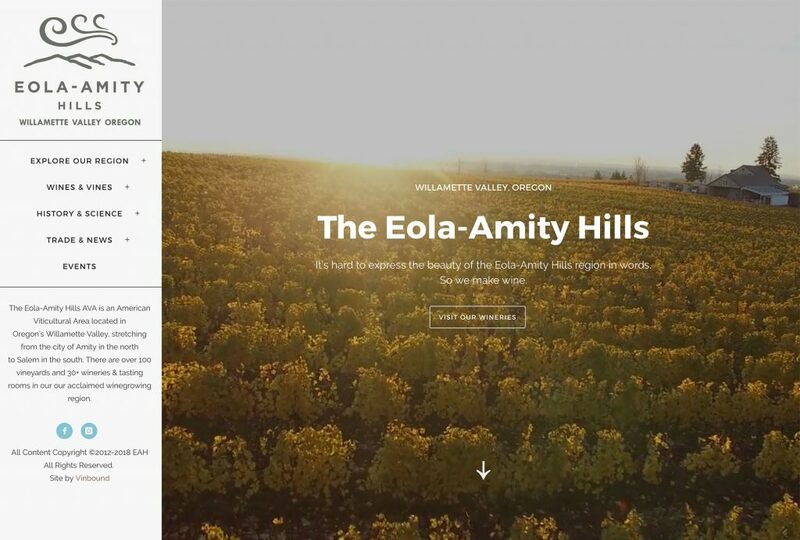 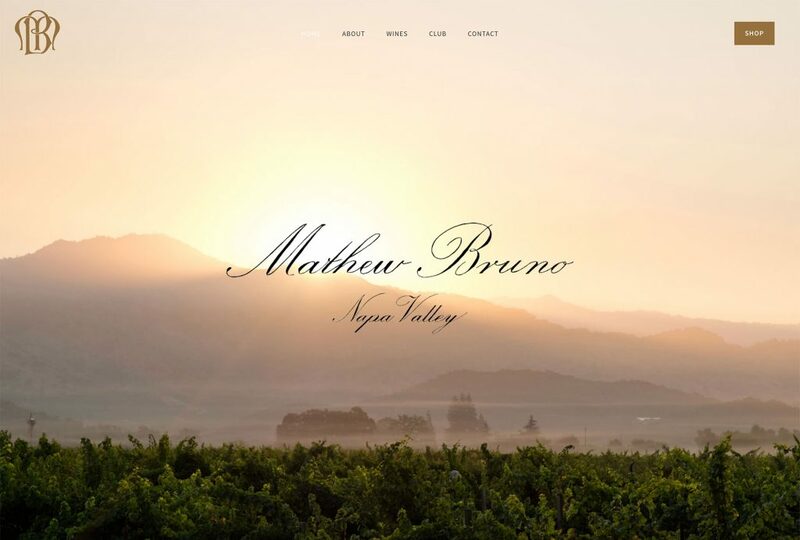 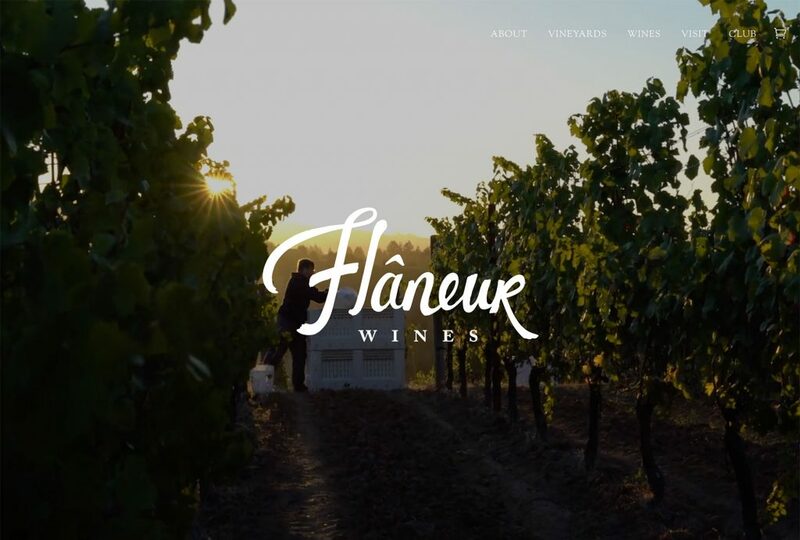 The website is built on WordPress and uses professional photography and video as much as possible to tell the story of Oregon wine country.